Home/Gadgets/Ipad/How can a tablet POS help a seller? As a seller you always want to serve your customers in a more efficient manner. One thing that you can do, apart from providing excellent services and product delivery, is to minimize the payment time while at the same time making it more secure and accessible. Till now popular stores were plagued by long standing waiting queues of customers, waiting for their turn. But now you can bid farewell to those days. In this article we will inform you about the latest trend in payment systems i.e. Tablet POS. Think of it as similar to a computer operated payment system. But in this case, all the work that was previously handled by a desktop computer is now done by a tablet. Yes you read it right, we are talking about tablets. These days’ tablets have become so advanced that they can handle all the computing needs that previously required a big workstation. If you doubt us then compare the specs of an ipad to that of a desktop computer. You will find that tablets are fast catching up with desktop computers. In fact the truth is that smart phones and tablets have already outsold the desktop and laptop computers. 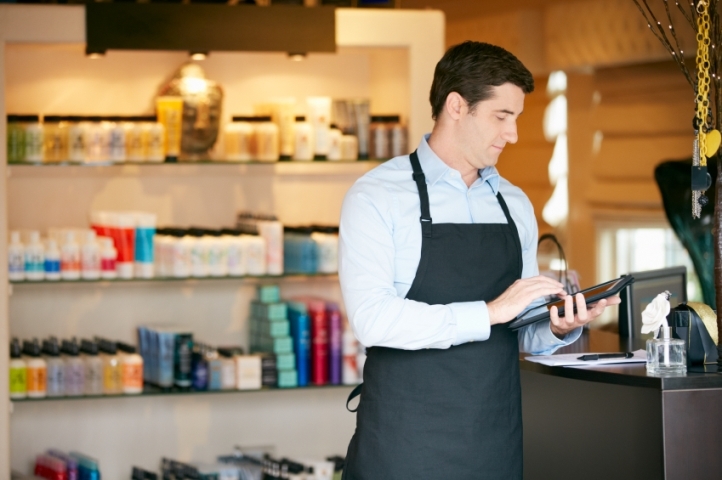 How does a tablet POS helps a seller? As a seller you can decrease the payment time by increasing the number of computers. But this solution has a drawback. Increasing the number of counters means more number of computers and that directly increases the associated cost. You can cut down on the cost by attaching the terminals to a central server but even that proves to be quite expensive. Now you can increase the number of counters with the help of tablets. The cost of a tablet is way less than that of a full blown desktop computer. So now in order to increase the number of counters, all you need is some tablets and card readers. Big players in the market such as Apple and Google are trying hard to change the very fundamentals of the payment systems. While Apple has unveiled Apple Pay, Google has come ahead with its own solution known as Google Wallet. Traditional computers might prove to be incomputable with these mobile payment systems when the shift finally happens. But with a tablet POS, you can be sure that when the time comes, you will be ready and well equipped to handle the change.